Employees are looking for guidance in regard to their 401(k) Plan. This study confirms the need to offer professional managed portfolios. In addition the portfolios should range in risk level from aggressive to conservative. When each employee chooses their risk level the accumulated plan will represent a pension plan. Ideally your plan will only include these professionally managed portfolios. With the guidance of an investor coach your employees will experience improved results and less anxiety. 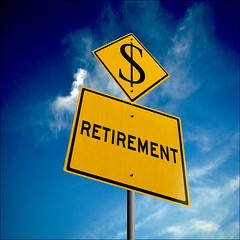 Eighty-three percent of Americans report favorable views of pensions, and 82% say those with pensions are more likely to have a secure retirement, according to a research report, “Pensions and Retirement Security 2013: A Roadmap for Policy Makers,” issued by the National Institute on Retirement Security (NIRS). In addition, 84% of survey respondents say all Americans should have access to a pension to be self-sufficient in retirement. Support was strong from both men and women (83% and 82%, respectively). Pensions may also play a factor in choosing an employer—if considering a new job, Americans report being nearly twice as likely to pick an employer with a pension than one with a 401(k) plan. Eighty-seven percent of Americans polled contend that policymakers do not understand how hard it is to save for retirement. Millennials are highly dissatisfied, at 94%. Three-fourths of Americans say a new type of pension plan described in the survey is a good idea. More than 90% would favor a new pension plan that is available to all Americans, is portable from job to job and provides a monthly check throughout retirement for those who contribute. Even though retirement is in the distant future, virtually all Millennials agree that the retirement system is under stress and needs repair (95%), and that lawmakers need to make retirement a higher priority (90%). They also believe that those with pensions will have a more secure retirement (89%) than those without, and 94% say the lack of pensions for Baby Boomers is creating stress for families and the economy. Millennials are especially supportive of a new pension system (84%), with 88% saying they would consider participating. Employers can provide a more pension fund like plan within the 401(k) plan model. This includes offering ONLY professional managed portfolios. Take away too many options and improve results. Please comment or call to discuss how this you and your employees. Those who plan ahead and save for retirement will be the true winners. These individuals are relying on themselves for their own financial security rather than on the federal government. There are three simple rules to saving for retirement own equities…globally diversify….rebalance. Half of American workers have no retirement plans through their jobs, leaving people on their own to save for old age.Meanwhile, four out of five private-sector workers with retirement plans at work have only 401(k)-type defined contribution accounts, rather than traditional pensions that pay retirees a fixed benefit for life. Numerous studies have found that workers with defined-contribution accounts often put aside too little money, make too many withdrawals or employ the wrong investment strategies to save enough for old age. Overall, people ages 55 to 64 have a median retirement account balance of $120,000, Boston College researchers have found, which is enough to fund an annuity paying about $575 a month, far short of what they will need. When Americans start to realize that they are responsible for their own retirement they may take their retirement plan more seriously. 401(k) plans were designed as a supplement to a pension plan. This is no longer the case. For most Americans the 401(k) plan has become their sole source of retirement. Are Young Workers On Track For Retirement–Or Smoking Something? Younger employees may benefit from watching the over spending baby boomer generation struggle with their finances. The boomers over spending and debt is prevednting many from retiring at 65. The younger generation realizes that they and they alone are responsible for their own financial future. Yet for all their interest in a social media savings message, 50% of young workers (compared to 39% of all workers) said one approach that would likely work is: “Stop trying to communicate. Instead, automatically enroll me with a high enough savings rate so I don’t have to think about it.’’ Of course if employers did ramp 401(k) withholding up to that level, young workers might be shocked at how much it reduced their take home pay and find it hard to save outside their retirement accounts—which takes you right back to the HelloWallet identified problem of workers lacking emergency funds and draining their retirement accounts. Plus, let’s not forget the student debt many young workers carry or the fact that if the AARP has its way, these kids will be paying through the nose for the baby boomers’ retirement, too. Bottom line: To stay on track for retirement, Gen Y is going to have to run a marathon. All employees are looking for automatic, no decision, retirement plans. This includes automatically enrolled into an age appropriate portfolio. This makes your 401(k) plan more like a pension plan. This will reduce anxiety and improve results. Please comment or call to discuss how to improve your company 401(k) plan. There are discussions about making retirement plan deductions mandatory. I am not in favor of this, we should be more accountable for our own financial future. I am in favor of auto enrollment and auto escalation. I would also recommend that the employee be automatically put into an age appropraie portfolio. This makes the plan more like a pension plan. The employee could then decide to opt out of the plan or change the risk level of their portfolio. The end result, I believe, would be more people properly saving for retirement. “This research shows that employers are not getting the ROI that they may think they are from their retirement investments,” HelloWallet founder and CEO Matt Fellowes said in a statement. “Investing in retirement savings is essential for all Americans, but this study demonstrates that a large share of U.S. workers lack the basic financial skills needed to actually benefit from those savings, and it’s costing both them and their employer dearly.”The research also finds that only a small percentage of employees (8%) are withdrawing funds because they have lost their jobs. Instead, 75% of those who have made early withdrawals have done so because they lack basic money management skills and need to meet basic money management challenges, such as emergencies, credit card payments and health care. In many cases, better planning and guidance would put them on a track to avoid costly mistakes, take advantage of the tax incentives and accumulate the savings needed for retirement. American companies now spend the aforementioned $118 billion annually on retirement contributions with the expectation that employees will take maximum advantage of these programs to improve their financial well-being. The new research suggests that employers’ massive investment is not always delivering the intended results. There is evidence that the American workers needs more education on financial planning. Americans need to realize that they and they alone are accountable for their own financial future. Reliance on the government will only result in disappointment. When you build a globally diversified portfolio you will realize inflation adjusted income throughout retirement. Unlike with many pension plans that are not inflation adjusted. The drawback is you must live with the volatility, however with a prudent process you will do this without anxiety. During retirement inflation may be your greatest risk, not stock market volatility. Benefits can change midway through your career. One of the main advantages of a pension plan is that the income is guaranteed. Thus, you may be able to spend more than you could have otherwise because of how dependable the monthly checks will be. But as we’ve seen in recent years, benefits are being reduced with plan reforms. If you have been counting on guaranteed monthly payments and saved less through the years because of it, you’ll be affected even if the benefits are reduced slightly.Your pension could be eliminated if the employer files for bankruptcy. Private pension plans are protected by the Pension Benefit Guaranty Corporation (PBGC), so most employees will end up getting something even if an employer declares bankruptcy. But at that point, anything is possible because negotiations within the bankruptcy court could change benefits. Monthly benefits may be cut, or the accrual method may significantly change. Everything is on the table. The worst part is that you won’t know the outcome while everything is being resolved, which could takes months, if not years. Benefits usually don’t extend beyond your lifetime. And even if they do, the income will only last through your spouse’s lifetime. This means that none of your heirs will be able to count on that income. The guaranteed income for life is a double-edged sword. On one hand, you won’t run out of income during your lifetime. But if you have enough money to sustain your lifestyle to begin with, you might want to invest on your own in hopes of leaving a bigger payout for your children. Given the recent volatility in the equity markets many investors are looking for guarantees such as pension plans. Guarantees come with drawbacks as do all strategies. If you have a prudently designed portfolio you can effectively deal with any volatility with less anxiety. The drama created by the federal government has led many Americans to believed that the federal government cannot be trusted with their financial future. This includes your retirement accounts. We should become more accountable for our own future. This does not include using our retirement accounts like a casino. We should develop a prudent strategy and remain disciplined to that strategy. In most cases this requires the guidance of an investor coach. All of these rumblings have led the American Society of Pension Professionals and Actuaries to launch the “Save My 401(k)” online petition, which it also calls “Protect My Piggy.” (I’m no Beltway pundit, but I don’t think using the word “piggy” will be endearing to deficit hawks in D.C.) The website for the grassroots campaign lets you email your concern to your members of Congress. “We understand Congress needs to reduce the debt and raise revenue, but raiding the tax incentives for 401(k) plans will put American workers’ retirement security at risk,” says Brian Graff, the society’s executive director and chief executive. 1. Invest as much as you can next year in your 401(k) or similar employer-sponsored plan if you have one. If you can invest in an IRA, do it; the contribution limit for traditional and Roth IRAs in 2013 will be $5,500; $6,500 if you are 50 or older. 2. If you work for an employer with a 401(k) plan that offers advice, pay attention to it.Writing in the Schwab Talk Blog, Catherine Golladay says that a study of employees in plans served by Charles Schwab found that those who follow its 401(k) investment advice save more, are better diversified and are better equipped to handle inevitable fluctuations in the market. Planning for your eventual retirement is tough, so I say: Why not benefit from smart insights from professionals, when they’re there for the taking? One proposal is to limit 401(k) deductions, including employer contributions is $20,000 or 20% of gross pay whichever is less. Employees should put away as much as possible in 2013. Please comment or call to discuss other alternatives. Now is the time to maximize the contributions to your retirement accounts. The government is encouraging the conversion of qualified accounts to Roth accounts. Unless Americans become more responsible for their own retirement the government will take this over as well. Many are criticizing the over spending of the government, however perhaps we should look at the spending habits of all Americans. Individuals need a balanced budget and a saving strategy for the future. For those over 50 years old, the additional “catch-up” amount allowed will remain the same at $5,500, meaning the overall limit for such workers will be rising to $23,000 from $22,500. Monthly Social Security benefits are also set to rise 1.7 percent, another move meant to keep up with inflation. There are two other tweaks to look out for: The IRS is raising the limit on tax-free gifts to $14,000 from $13,000. And Americans living abroad will be able to exclude up to $97,600 in foreign earned income starting next year, a modest increase from the current $95,100. The higher contribution limits toward retirement plans come as many Americans look for ways to juice their returns after seeing their portfolios battered in recent years. Investors have enjoyed a pretty strong year in 2012, with the Standard & Poor’s 500-stock index rising about 13 percent. Despite concerns about the fiscal cliff, some analysts see signs that next year could include even more stock gains, driven by an improving housing market and rising consumer confidence. But many workers saving for retirement still have a lot of ground to make up. More than half of working households run the risk of being unable to maintain their standard of living when they retire, according to a report released in October by the Center for Retirement Research at Boston College. By building a globally diversified portfolio and remaining disciplined, investors can reach their long term financial goals without anxiety. Many Americans are not saving for retirement because they do not know how to invest. Plan sponsors can eliminate this concern by automatically enrolling employees in a age appropriate portfolio. Please comment or call to discuss how this affects you and your family. The famous baby boomer generation is a generation of spenders. Their philosophy is to live for today and forget tomorrow. Hopefully, subsequent generations will learn a valuable lesson. Baby boomers needed an investor coach to help them save their future self from their current self. While baby boomers with pension plans are more likely to retire at or before the traditional age of 65 than those without pensions, they still wish they had done more to save for retirement, according to a survey from Fidelity Investments.Nearly half (48%) expect to retire with debt, primarily mortgage payments followed by credit cards, car payments and student loans for either themselves, their spouse or their children. Among all retired boomers (those with and without pensions), seven in 10 have what Wendy Foster, senior vice president at Fidelity Investments, calls “retiree remorse.” They regret not having saved more, she said. “Our research uncovered the fact that even the small population of baby boomers who actually receive a pension payout today feel they should have saved earlier than they did for their income in retirement,” Foster said in a statement. One in five retirees with pensions acknowledged they did no planning before retirement, with half indicating they only began planning about 12 months before they retired. The research also found that 63% of employed boomers would roll all of their pension assets into an IRA or 401(k) plan if given the choice or required to take a lump-sum distribution. More than one in six (16%) would roll some of it into an IRA or 401(k) and use some to purchase an annuity and just 6% would purchase an annuity with the entire amount. This is the most shocking statistic regarding the retiring baby boomers. Most will live far below their working standard of living once retired.